The La Roche-Posay Effaclar Duo has been around for quite awhile, but it was something I never bought into. However when they released the new [+] version, I was definitely intrigued. After reading some positive blog reviews and suffering with a bout of really bad skin, it ended up being something I just had to try. La Roche-Posay Effaclar Duo[+] is designed to target the key signs of oily, blemish prone skin and can be used daily, either alone or with a moisturiser. It claims to help correct the appearance of blemishes, refine skin texture, unclog blocked pores and control shine. It also helps to fight marks, which is the added benefit of the Duo[+] compared to the original Duo. This isn't a natural product and I'm not familiar with many of the ingredients - highlighted ones include ProceradTM, Linoleic Acid and Zinc PCA. However I couldn't see anything that I knew I would break me out and decided to rely on the fact that it is sold as non-comedogenic and suitable for acne prone skin. A 40ml tube costs £15.50. I've been using the Effaclar Duo[+] for around 6 months now. It is fairly thin in consistency and has a creamy, gel-like texture; more akin to the formula of a serum or primer than a moisturiser. It absorbs quickly and isn't drying on the skin. I've found that this works best for me when used at night under a moisturiser or facial oil; even when applying under another product, in the daytime my makeup doesn't sit well over it. Plus using it twice a day has a tendency to make any spots and blemishes go a bit flaky, which makes them difficult to conceal. After only the first time of using the Effaclar Duo[+] I was so impressed - a couple of spots I had were dramatically reduced overnight. After four weeks of nightly use, the cluster of little spots I couldn't previously shift and stop recurring on my forehead, had been banished. 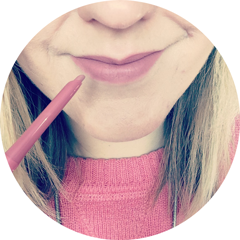 But I do think this is a product where the effects are less obvious and impressive with continual use; when I stop using it for a few days I feel like it has much more of an impact. It certainly helps to reduce and heal spots and blemishes much quicker, which lessens the chance of scarring. I haven't noticed the biggest difference when it comes to shine but I do think the texture of my skin has improved, especially on my forehead and chin. I do understand why there is a lot of hype around the Effaclar Duo[+] and it is definitely the best targeted, overall anti-blemish product I've tried. I don't think it 100% does everything it claims to do, but I will continue to incorporate it into my skincare routine and re-purchase when this tube runs out. It can be bought online here. 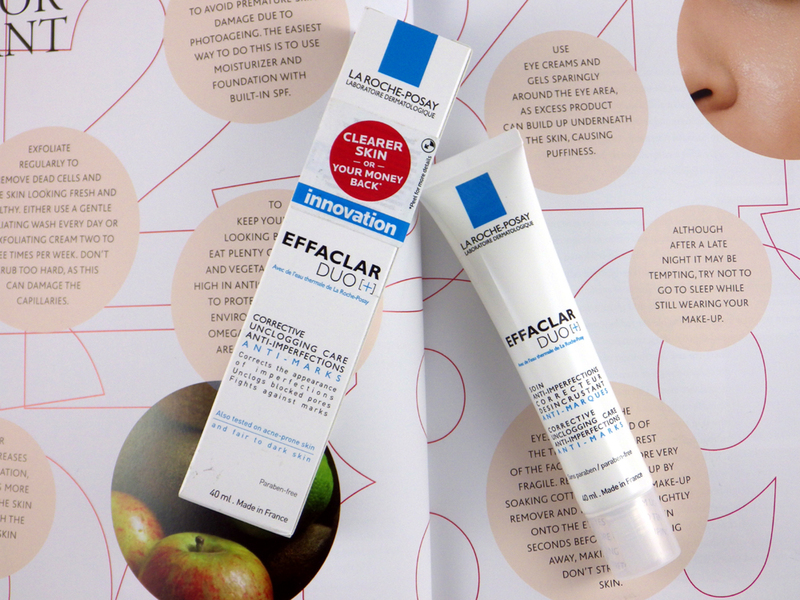 Have you tried the La Roche-Posay Effaclar Duo[+]? Which anti-blemish products do you love? I love this product, I have really oily skin and it's the only thing that works for me! Great review, I havent had amazing results with this product but reading that youve held out with it for 6 months, maybe i just need to persevere a little longer and be consistent! I recently bought the original Duo (without the +) after I searched and searched online and couldn't find a review on the old version and what made it different than the +. Damn it. I use mine on blemishes only, as I don't want my skin to overreact to its drying quality and become more oily (which it does with other treatments I've used). At first I saw no difference, and was disappointed. I took a break for a week, and then used it again. The second time around for some reason it worked like a charm! My blemishes and hints of them starting disappeared in 1-2 nights and even a dark blemish scar I had disappeared! Since then there's been no change or effect to new blemishes and old acne scars, which is strange. I think there's one ingredient in this gel that works but is temperamental. Haven't figured it out yet. I've since started using dream dots, which also work like a charm on certain spots and not on others. I'm still happy I bought both, because if something can be done they do help. I just have to find a solution for those scars and spots that seem determined to stay.